This is not a “Tab” in LRTimelapse, because you are normally going to launch the export from Lightroom. However, you will use it after finishing each of the other workflows, so I will explain it here. Right click on the first image and choose Go to folder in Library. Set an output path, where your time lapse intermediary sequences and rendered videos generally should go to – there is no need to define the name for each sequence on export, since LRTExport will create the folder name from the original sequence name automatically. You can leave the other settings at their defaults. Click on Export and wait until the exporter has finished. Now LRTimelapse should come up and present its render dialog: Just leave the settings at their defaults. 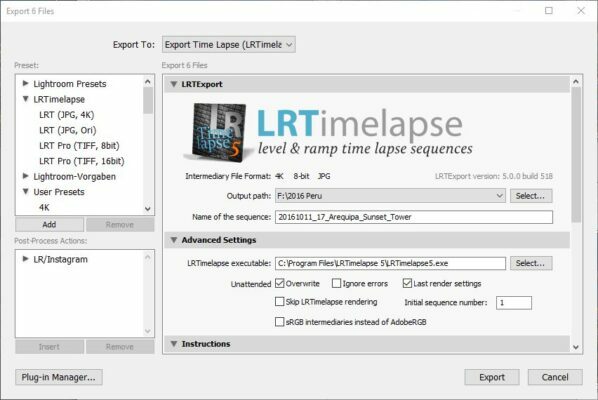 Advanced tip: if you mostly render with the same settings, you can turn on “Last render settings” in the LRTExport dialog to have the video rendered directly with the previous settings you set in LRTimelapse for rendering, without having you to confirm the render dialog. That’s it! After short time you should find your rendered video inside the output folder you defined in LRTExport. 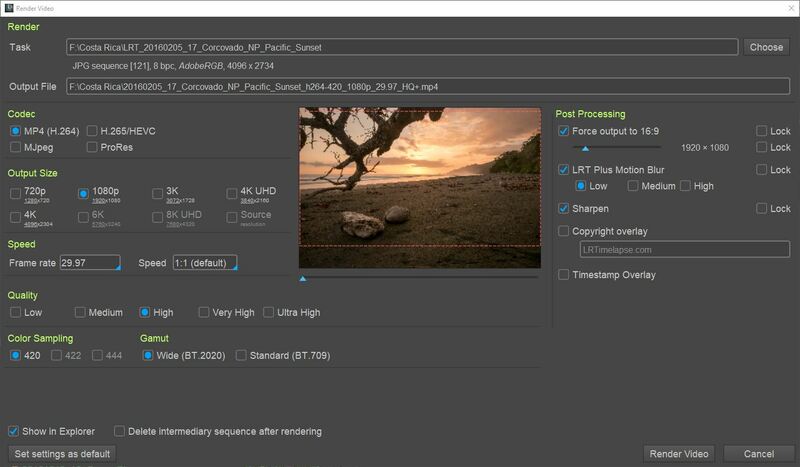 I’m sure, with some practice you will quickly master the workflows and appreciate the great results that LRTimelapse will help you to achieve!